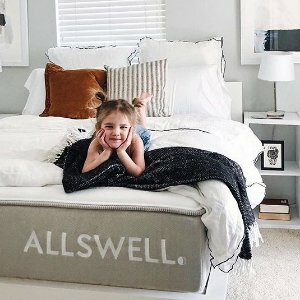 Allswell Home offers 62% off Hybrid Luxe Twin Size Mattresses for $111 via coupon code 光棍节 . • When emailing customer support always use either the original order email and/or reference the order number. • Unless customer support has stated 24 hour support - please allow time for response. If you must send multiple emails before receiving a response please always reply on the same thread to avoid confusion and further delays. • Placing orders from China may result in CC issues. Also if customer support does not state 24 hour support - do not expect or repeatedly email.